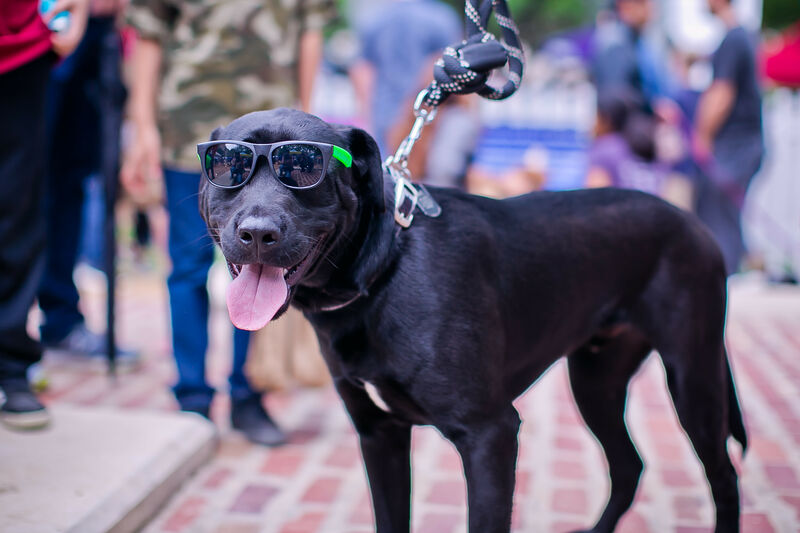 Last year's Ready Houston Preparedness Kit Chef's Challenge drew a healthy and hungry crowd to Market Square Park. There may be a couple of months left of hurricane season, but it’s never too late—or too early—to prepare. 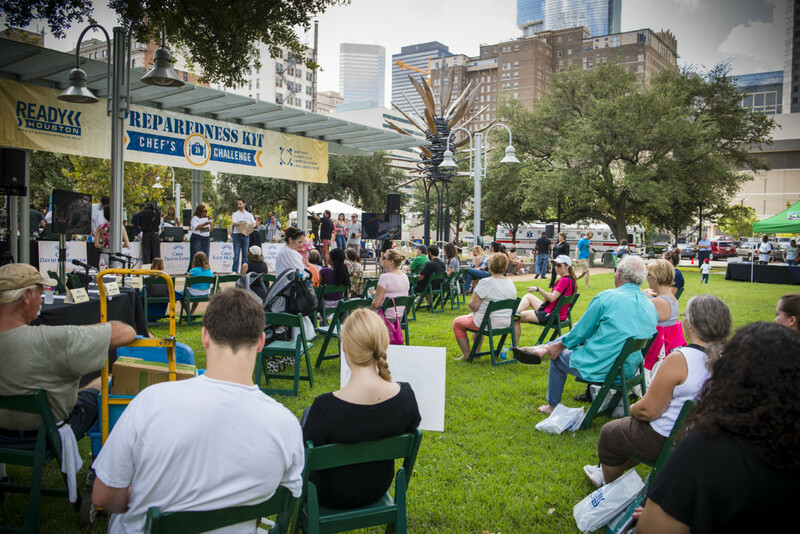 Thus, the City of Houston will be hosting its 3rd annual Ready Houston Preparedness Kit Chef’s Challenge this Saturday, Sept. 26 at 1 p.m. at Market Square Park. 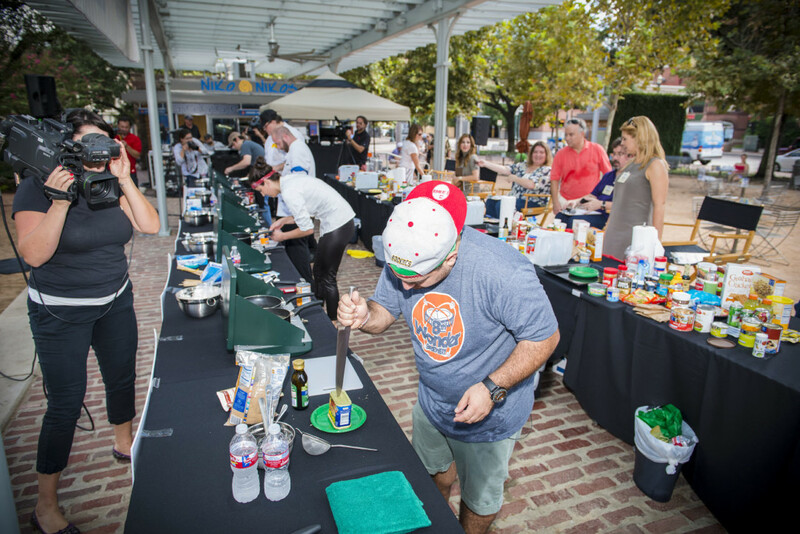 This year's challenge will feature celebrity chefs from the Houston area such as Patti Alvarez-Burdette of Holley’s Seafood Restaurant & Oyster Bar, Patrick Feges of Southern Goods, Carlos Rodriguez of Vic & Anthony’s, Martin Weaver of KUU and Hell’s Kitchen season 11 winner Ja’Nel Witt. 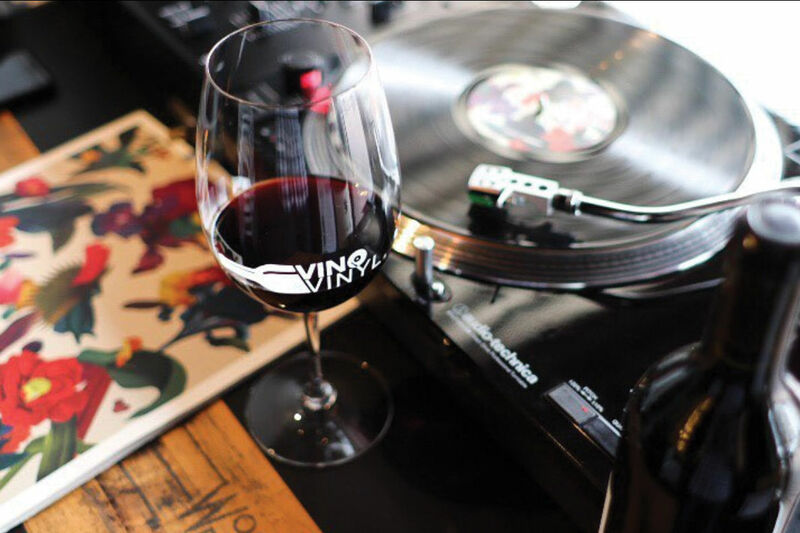 And best of all—the event is free. Jackie Miller, the City of Houston’s community preparedness manager, said the challenge has been well-attended the past two years due in part to the popularity of the many chef challenge-type shows on television. 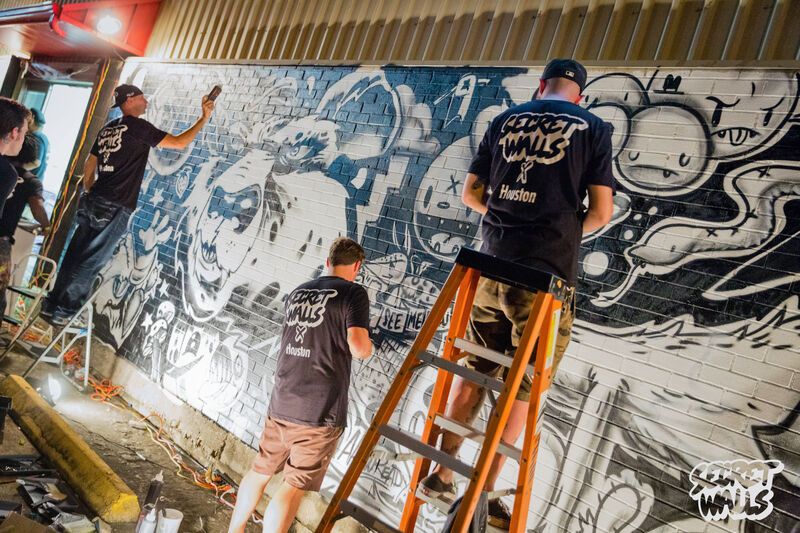 “It’s a great way to build the community, and these chefs have a following,” Miller said. Kroger is the only sponsor for the event, and the chefs will prepare dishes using ingredients from a Kroger-stocked "emergency food supply" pantry consisting of shelf-stable items such as canned goods and general kitchen items like dry spices. If they decide an item needs to be cooked, chefs will only have access to a propane-powered camp stove—i.e., “things that you might have in a disaster kit,” Miller said. “We want folks to be able to look at the kind of things that we tell them to have on hand that could really last through a disaster.” The chefs' dishes will be judged by a panel of local celebrities, including KRIV’s Rita Garcia, KHOU 11’s Chita Johnson, the Houston Chronicle’s Syd Kearney, Univision’s Carlos Robles and CultureMap Houston’s Eric Sandler. Chef Kevin Naderi digs into a can of Spam at last year's competition. In addition to the cooking competition, the Ready Houston Preparedness team will have a table for visitors to get hurricane readiness information as well as handy items for people to take home such as document bags. The Health Department will also be present, giving away a disaster preparedness cookbook they created, which features recipes from employees or the public on how to prepare dishes from shelf-ready items. There will also be giveaways such as gift certificates to restaurants, and the first 50 people will receive a picnic blanket. 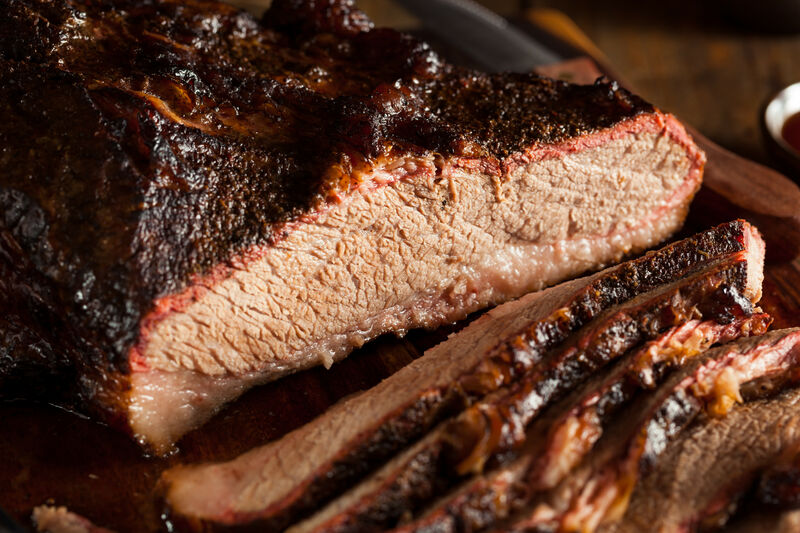 “We try to come up with a number of things that are all preparedness related or connected to the chefs and their restaurants,” Miller said.